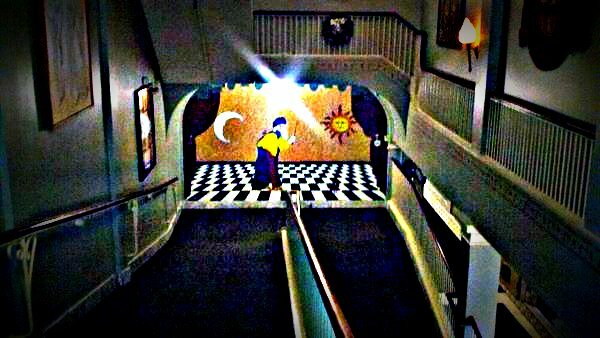 Having recently been a guest with McMendamins Grand Lodge in Forest Grove, Oregon, I was surprised by its theme, making me immediately think that the Beatles may have taken part of their inspiration for the Magical Mystical Tour by staying here. As one walks down the hallways of this 1930's era hotel on the way to the room you're greeted by whimsy and mysterious characters on just about every wall, door and even the plumbing stare back at you with a sense of odd, nonsensical humor. 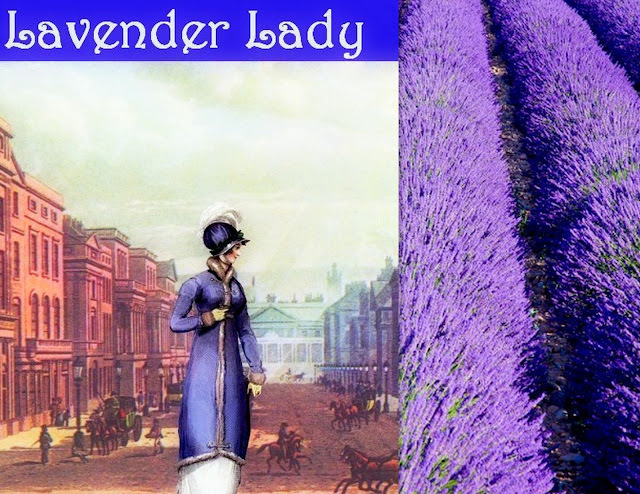 Now supposedly there's a haunted element to this place, it's rumored that if you suddenly get an unexplainable whiff of lavender, that you are perhaps in the presence of the Lavender Lady. 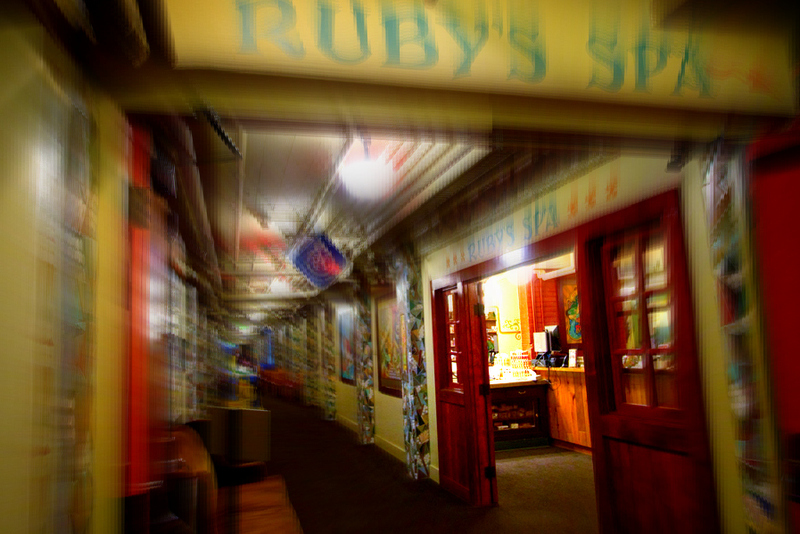 Stories abound of various locations throughout the property that folks have been witness to alleged paranormal and unexplained activities. I should have been, I did stay in the Lavender Lady's room. Her image painted on the wall in "her" guest room, is one which I forgot to photograph. But it's one that seems burns a hole in your head, as she stares right at you, no matter where you move about in the room. It's something which is more than a little creepy. I remember waking in the middle of night, thinking "what the bleep was that?" But I nodded-off right back to dream-land, but I don't recall any lavender aromas or seeing whisps of smoke floating about in the room. But if you've been reading this blog for awhile, then you know I'm pretty skeptical, so I really didn't give it another thought to be honest. Here above you can see the ramp that leads up to the second story rooms, where there's a nice sized movie theatre and the only air conditioned room in the entire building. 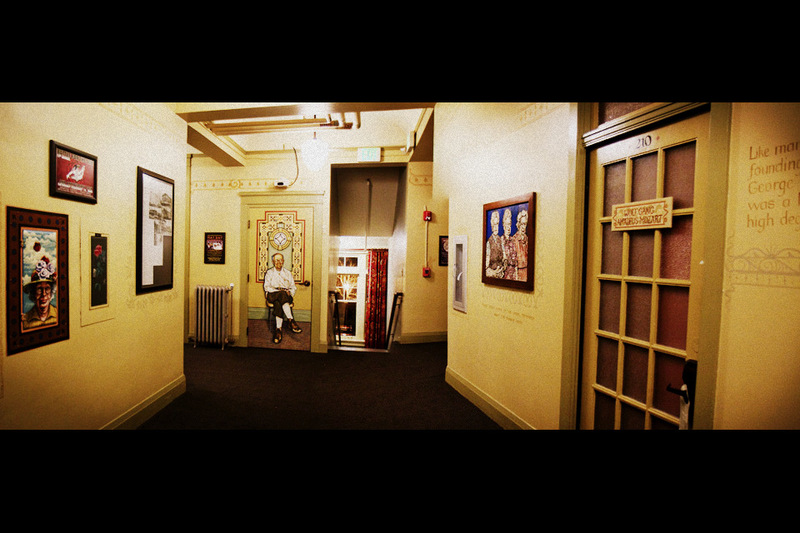 Just below and to the right is the main lobby and front desk. There's also a great bar, just behind the front desk, just incase you get thirsty. furnished with a deluxe fluffy-white bathrobe, to help you get-about without too much embarrassment. But it strikes me as funny seeing others roaming about the hallways in their bath-robes, it kind of conjures up for me images from the movie, "One Flew Over the Cuckoo's Nest" I kept looking over my shoulder for Nurse Ratched. In the picture above is what you can expect to find in a typical room. Now on a hot day, like the one I experienced, when visiting just last weekend, these rooms are pretty uncomfortable on warm weather days. There's no A/C in any of the rooms, but you do get a deluxe box-fan to put in the window. You can find it stashed in the musty closet. Be careful when placing the fan, as there is nothing to really restrain it from falling out of the window and crashing against the side of building at 2:00 am oh-my. Also there are no screens on the windows to keep unwanted visitors [mosquitoes] from reaching you while you sleep. And not to worry kids yes, they do have a pool one which they call the wonderful Euro soaking-pool. 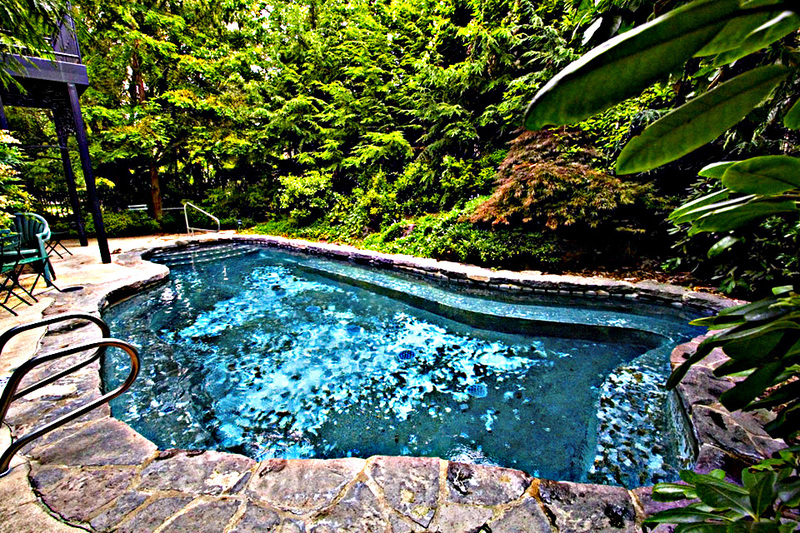 While not so great on a hot-summers day, because unlike most pools this one is heated to well-over 90 degrees, leaving one feeling like the proverbial frog in the pan of water. I could see on a cold-cold winters day; that a pool such as this would be a welcome relief for sore muscles after a long day on the wine-trail. While they do have a couple dining destinations right there on the property; may I recommend one which does have A/C if you dine inside, just a few blocks from McMenamins. Where I experienced a superb dining menu, they also have a large comfortable patio dining area if you need room for a large groups. 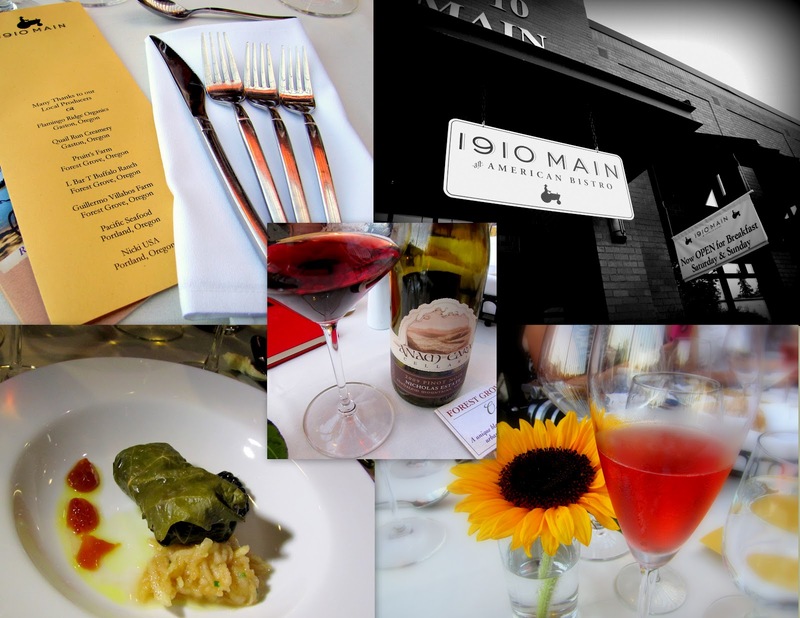 It's called 1910 Main American Bistro [with a nice wine list]. But if you wanted to do BYOB before dining or you just wanted to get your wine-on before hand, then in the next image below you will find a great little wine-bar, which unfortunately I was not able to visit, but again is just blocks from 1910. 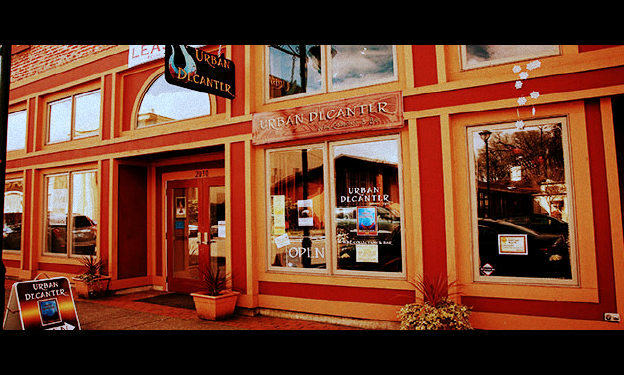 It's called the Urban Decanter, a great place to stop by for lunch or even a light dinner. If wine is not your thing, no problem they have a great selection of Orgundian craft beer waiting to tempt you. This place looks like it has it all and too bad I missed the opportunity for a visit. 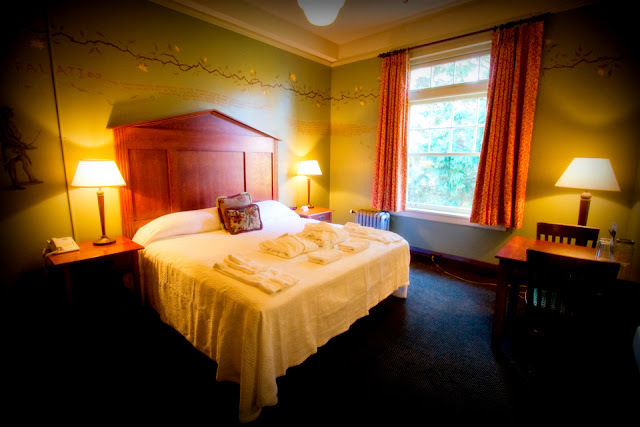 But if you live in the area or you happen to be staying at the supposedly haunted McMenamins Grand Lodge in Forest Grove be sure to stop in, say hello and chat with the locals about what's hot and what's not. Well that's all I have for you today, I hope that what ever you do in life, that you always make allowance for the opportunity to travel. It will change your perspective and help you see the world we live in a whole new way. At the very least that has been my experience over the last nine years, but I've just begun to wet my appetite for travel and have barely scratched the surface of what the world has to offer. I look forward to hearing from you about your own experience via the comment section below. Until next folk, please continue to sip long and prosper cheers!